Ever gone looking for a new house or apartment? If you are like me, you do a ton of research before hand, and have this epic tome of information when you go looking for places, using that data to compare the houses. I’ve killed at least 5 trees in the last 5 years looking for new places to live. I got really brave last time and wandered around with my netbook and tethering to my phone, but even that was a pain. Plus, most of these real estate places have the worst mobile sites ever, so using just your phone wasn’t working. There are a few apps in the Android Market that offer a fair bit of information on houses and do a pretty OK job keeping the information current. There is, in my opinion, a somewhat golden standard when it comes to real estate sites, and that’s Realtor.com. I’ve used it for awhile, as both a consumer and while working for a real estate agent, and it offers the right tools in the right UI to satisfy most any needs. Now, they have taken that expertise to the mobile market with their new Android app. The guys at Move, Inc. have taken Realtor.com’s “aged to perfection” combination of know-how and a well developed database of homes and apartments and pairs it with the muscle of Google Apps. The app uses GPS and Google Maps to give you all the information you could need about housing in an area, and search definitions to make it easier to find what you are looking for. Rather than rely on the stock images in their database, you can also quickly pick the house out in Street View, and take a look at the house for yourself. Find what you are looking for? You can schedule an appointment in-app with an agent, and even take notes in the app while on a house tour. Got family looking for a house? You can one-touch email anyone with information about a home in the app. 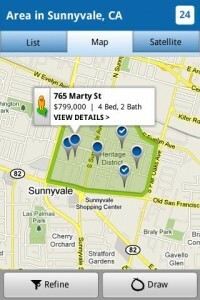 Available in the Market today, this app saves the trees and helps organize the craziness that is house searching! 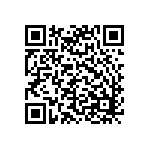 More homes for sale (4+ million) using your Android device with the REALTOR.com® – #1 site in real estate.